I'm going to go ahead and start with 1996. From 97-2000 we went 4 years without a Patriots team in the SB. We know that once from 2001-2004 we had to wait one year. Then in 05-06, we had to wait for TWO years. 07 was a SB appearance. Then we had to wait from 08-10, for THREE years between SBs. 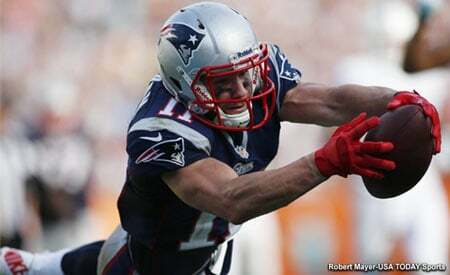 11 was a SB appearance. Then we had to wait TWO MORE YEARS b/w SBs, '12-'13. 14 was a SB Win. 15, was a ONE-YEAR WAIT. 16 was a SB win. 17 was a SB appearance. 18 was a SB Win. So 2008-2010 was the last time we had to wait more than 2 years to see our team in the SB. The last time we had to wait multiple years for the Pats to be in the SB was '12-'13. By the way, we were in the championship games for those years, but I digress. Some of you guys remember NEVER having been in a SB, up until 1985. When we played again in 96, I was reasoning we were getting in every 10 years, better than most teams. It was just logical that most of the time you would not be in the SB. We've been in 4 out of the last 5. You have to go back to 08-10 to find 3 years' wait between SBs. God, I just want to find people in Jets gear, pull them off the street, and explain to them what that's like. But nobody wears Jets gear. I remembered being ecstatic to get to the AFCCG, now I'm disappointed if we're not. Irsay: The *great* teams have an appearance in the SB every single year. Heck, go back to 1986-1987. Over the last 32 years, the Patriots have been in 11 Super Bowls. Once every 3 years. Yeahhhhhh I'm a glass half-full kinda guy. Jets, Miami and G-man gear was fashionable in the late 80's and 90's when I would go to work on Sunday and they would all be wearing their putrid "Starter puff coats".. as if to say f... you Patsfan. Those were the days that there was no Pats Gear available anywhere, my red "squish the fish" T-shirt that was made in someone's basement was all worn out.. sadly would wait for the "Sears Wish Book" to see if any Pats gear was sold there, but the NFL was marketing Dallas, Chicago, Green Bay, SF, Miami.. but no Patriots garbage can or bed spread for this fan. Then there were the tv blackouts, so I would try to listen on my Sony Walkman with one earpiece in, Gil Santos was the man, some at work thought I was a "degenerate gambler", but no I was just a fan who could never get enough even when they were bad teams.. Sometimes I feel like this whole ride should make me feel guilty for rooting for this team that has been so good for so long, then I get out of that funk and say F... them all, payback is a m... f.. er. Ha, I grew up with an instant-turncoat Redskins fan. I held on to my Patriots. He used to babble on about how the Redskins were really a dynasty but nobody noticed...using some kind of hopscotch dynasty theory, 2 SBs in a decade plus 1 a decade ago, something like that. Oh yeah, and what hopeless sh1t my team, the Patriots, was. HA... Now he's moved back to up to NE and conveniently adopted the team I never left. Never had any loyalty, never will have... but boo hoo, here I am watching most of this from afar in Washington. Don't forget the last time Ray Lewis reportedly killed a man was right before the Dynasty started. Coincidence? I remember in 84 being pleased we finished at 9-7 and 2nd in the division after firing Meyer midseason. So am I, and 6 Lombardi’s sounds half full to me. Don't forget the last time Ray Lewis reportedly killed 2 men was right before the Dynasty started. Coincidence? If I ran the JESTs, my first major change (after dismissing the entire staff and roster...and banning Goodell from the stadium)) would be to banish the color green. First off, no human chooses to wear green unless the clothing is discounted 90%. The hunter green fad in the 1980's lasted 127 days. And it has been documented that JESTs green causes seizures in those who come in close contact. JESTs green represents a half century of failure. Time to move on and move forward. Not sure where I was at for the Bill Simmons podcast with McGinist a couple of years ago. Listened to it last night and didn’t know that the lane that Desmond Howard ran back the kickoff was supposed to be covered by Troy Brown. He was slightly injured, so he was not playing special teams. Willie said there was no way Troy blows that assignment. Also didn’t know the Cowboys had a trade in place with the Rams to move up to #5 to get Willie in the 94 draft. Luckily Parcels pulled the trigger at 4. My Dad died young, some of the favorite memories I have with him are football related. I can vividly recall the thrill of taking the 'football train' to go see his beloved Giants. I badgered him into taking me to a Pats game at Fenway, it wasn't easy since he had a serious contempt for Billy Sullivan, but as a kid I wanted my team to be local. Youthful brains aren't able to fully understand generational loyalty. I could not fathom how on Earth I was expected to loathe the Yankees and despise the Knicks and Rangers but root for the Giants when we had a Boston football team. Of course to him the AFL wasn't 'real' football therefore we didn't have a Boston football team. The fact that the Pats were essentially homeless didn't help my cause any. Even now I can close my eyes and see us in ratty funky old Fenway (not today's spit shined commercial gem) with him telling me "You mark my words. Any team that puts this kind of mess on a field will never amount to anything unless they get an owner that has more in his pockets than holes." Looking back through today's eyes flush with the success of the past 25 years I have to say he was absolutely right. Which reminds me, thanks again Bob Kraft.